I don't wish to "alarm" you, but I thought you'd be interested in this Home Security Checklist that I've put together. It gives you a basis for periodically inspecting your home to make sure you're doing all you can to protect your valuables against "uninvited visitors." Do you have motion-detector lights around the property? Do you keep your garage locked? Did you change the locks when you moved in? 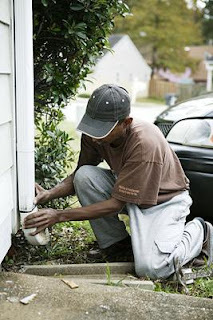 Do you have strong locks on all doors and windows? Have you kept your keys guarded against unauthorized duplication? Do you always use the peephole before answering the door? Do you have automatic timers controlling your lights when you are away? Are your possessions insured and do you have a complete inventory of them? Are extremely precious items secured away from home, in a safety deposit box? Why?....... 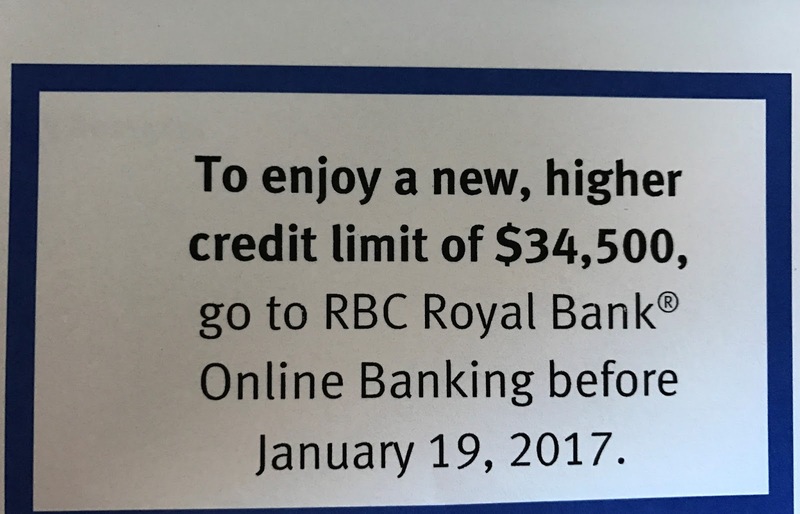 Is it okay that credit card limits just keep going up? The Minister of Finance announced on Monday October 5th that changes are being made to the Canadian mortgage rules, effective October 17,2016. The new rules will impact high ratio buyers - those with less than 20% down payment. The most commonly discussed and concerning rule change, was the new qualifying rate for buyers. This is one item listed under the "Stress Test". It means that Canadians must now qualify at benchmark rate which today is 4.64%. The government made this change to protect the financial security of the consumer, however; I firmly think that everyone should speak to their local council and express their concerns about the segments of lending - ie - car loans or credit card debt. I agree that Canadian debt levels are at record highs and we need to tighten the purse strings so to say! This is to ensure that we are not over extending ourselves to the point where we can't make the payments on our mortgage, should the rates rise which inevitably they will. So why has our government not cracked down on other segments of lending? We need to tell our government that Automobile loans, Credit Card loans and Lines of credit need to be addressed immediately to ensure that this "Stress Test" to the mortgage segment of lending can work. I had a client send me this picture and ask me why? I agreed to leave the client unnamed for this article, but he always pays his bills on time and recently has increased his credit card activity which is why a credit card increase is being offered to him. 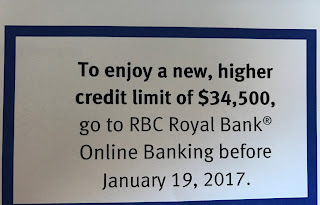 However; this client earn $80 000.00 per year and has a family of four, a mortgage, 2 vehicle loans and if he used all this credit he would be using 142% of his income - it is impossible for him to ever get out of debt. Why is our government not cracking down on the high limits being offered to Canadians? Why are we only cracking down on mortgages which is the one debt that can create an asset for you over time? I firmly believe that changes need to be made and I am not against the government changes, but they need to come with a well thought out plan. If the "Stress Test" as we refer to it now, is to be effective, which means to protect Canadians financial security then our government should have a plan in place to attack all aspects of debt. Payment history – This accounts for about 35% of the credit score. Carrying balances from month-to-month and missing payments are two factors. Other factors include the number of missed payments – one in eight to 10 months is not bad, and how long ago the payment was missed. Tip: Pay the minimum by the due date. How much is owed – This looks at the total outstanding balance in relationship to the total of all credit limits and accounts for 30% of the credit score. Tip: Pay down debt to at least 30% of the global loan limits. Account history – The length of time credit account has been active accounts for 15% of the score. The older the credit, the higher the value. Recent inquiries – This accounts for 10% of the score. Too many inquiries can send a message that a client may need money, which has a negative impact on the score. A client ordering his or her own credit report has no impact. Type of credit – This accounts for 10% of the credit score. Credit is either revolving as in credit cards or installment as in car loans. Higher scores are given to people with a blend of credit from various sources. Collection or bankruptcy – This, of course, has a negative impact on the score. Once discharged from bankruptcy or a consumer proposal, clients can rebuild credit. There are also a few new items in the expanded report, which includes mortgage information and calculates the estimated risk that a client will default on loans in the near future. Since both Equifax and Trans Union deal with millions of pieces of information on a monthly basis, sometimes mistakes can happen, which can result in false credit scores. In most cases, consumers are not aware of the negative information in their reports. Consumers can address errors on their credit report by calling the creditor in question or writing to the credit-reporting bureau. Thank-you Genworth Canada for this information ! Contact Amy Wilson anytime to review your current credit situation. Starting the journey to home ownership can be overwhelming and stressful. But with a little planning, you’ll get the home that’s right for you. A home that strikes a balance between your “wish list” items and the practical realities of the property, location and the housing market. Before you know it, you’ll have a place to call your very own. A place to entertain. A place to decorate. A place to raise a family. It really is an exciting time! To help keep you on track, below is a step-by-step guide to buying your first home. An effective budget will map out your plan to set aside money for your down payment and additional costs. It will also help determine the price of home you can afford. Consult with a Dominion Lending Centres mortgage professional to discuss what options are available to you and learn more about how to get started. Your realtor will play a vital role in your homebuying experience. The best realtor will be a combination of a personal advisor, consultant and negotiator. He/she will show you homes that match your criteria, guide you through the homebuying process, negotiate the best possible price for your home and deliver your closing documentation. look at the whole property: the lot, the neighbourhood, the surroundings. How close is the home to facilities and services important to you? When you’re ready to begin shopping for a home – often called “house hunting” – bring along this House Hunting Checksheet. You may end up seeing multiple homes in one day. This checksheet will help you compare and keep track of the homes you visit. And help you remember the features you did or didn’t like.